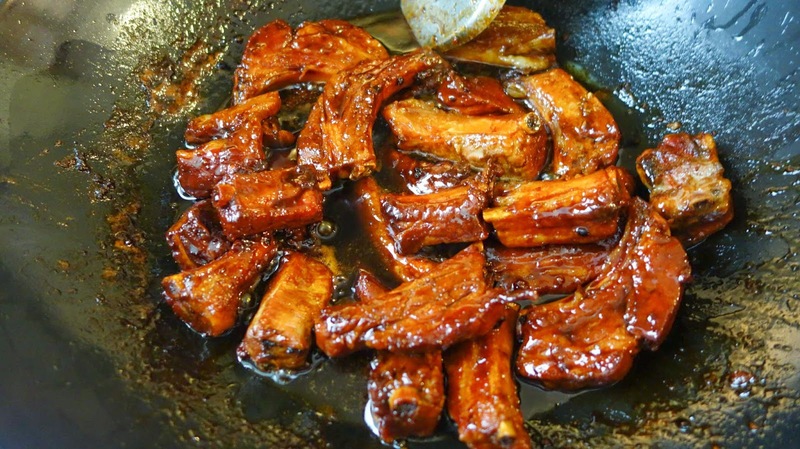 If you are familiar with my Mum's way of using the wok to cook Char Siew, it should have crossed your mind that you can do the same with pork ribs. This benefits from the same convenience. 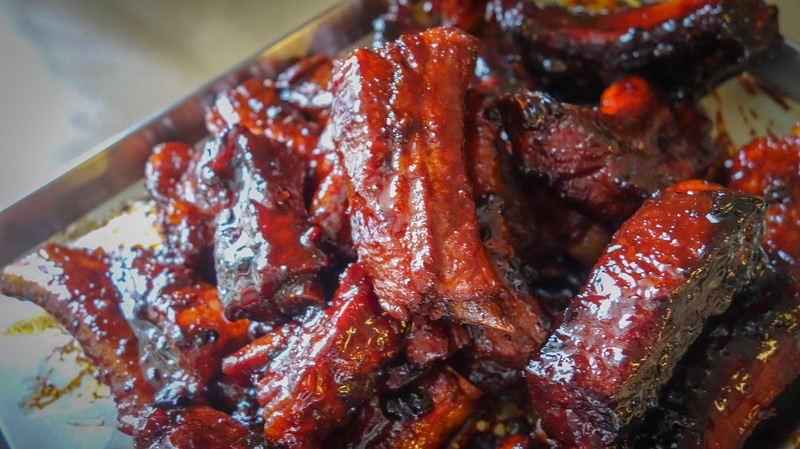 You do not need to marinate the pork ribs beforehand. For about 45 minutes from start to finish, you start by slowly braising the ribs and then towards the end, the sauce will caramelise. It is really that simple. The bone in the pork ribs is a poor conductor of heat. So generally, you need more time to cook the ribs compared to boneless cuts. Adding half a teaspoon of bicarbonate of soda will help tenderise the meat as you cook, cutting down the cooking time. Cutting it into bite size pieces makes cooking easier and faster. Remember to use a normal wok for this (i.e. steel, iron, carbonised steel) and avoid using non-stick ones. Your wok will be stained after the cooking. Just heat up some water in it, add dish washing liquid in the heated water, the stains should come off easily as you scrape with your spatula. As for flavours, you can go in many directions: coffee, orange, honey and so on. For the fruity flavours, just use whatever jams you have. Orange will go well with ribs. Or you can add coffee. 1. Mix the sauce. Taste it and adjust if you have to, to get the balance right. 2. Heat up the oil in the wok. Add in the pork ribs and fry for about a minute. 3. Add the sauce, water and let it simmer for about 40 minutes or till it is tender enough. 4. Towards the end, the sauce should thicken and your ribs should start to caremelise. If the sauce is still watery but the ribs are cooked, remove the ribs and reduce the sauce further. Then add the ribs back in to caremelise it. 5. Plate and bed it with some lettuce. Garnish with coriander leaves. You can add roasted sliced garlic and chilli strips. Be creative. There are many ways to flavour and garnish. Once you get the technique right, you can have delicious pork ribs more often and keep your family happy. 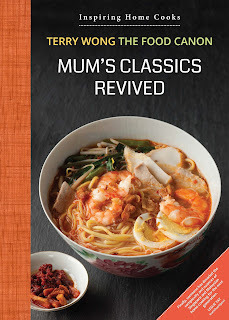 And of course, it can be cooked for your Chinese New Year Reunion Dinner. Have I complained yet about the cost of pork? Pork ribs are expensive these days and I thought it is supposed to be a staple for many Chinese families. Hopefully the authorities can do something about this. 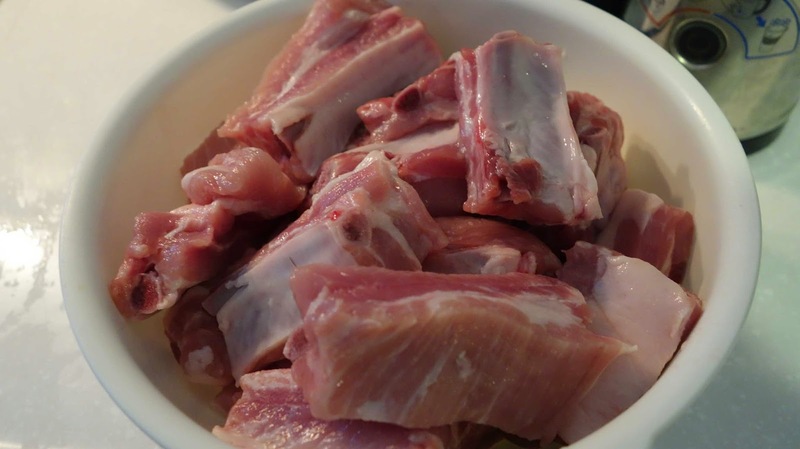 You should not need to pay more than $15 per kilo of pork ribs that are suited for stir-frying. Avoid those that are meant for soup bones. If you can't tell the difference, too bad. Unless you can trust your pork seller, he is likely to benefit from your ignorance. Braising in the wok. This is after about 40 minutes. Simple yet delicious! 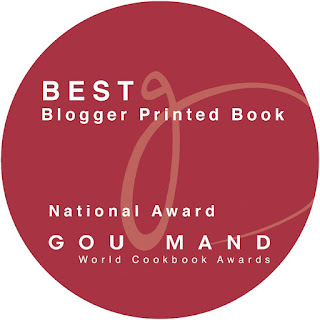 Thanks for the tips of turning a simple pork ribs into a divine dish by adding jam! Your dish looks so appetising. I've always loved pork ribs. Your method seems like the easiest way to make it. Will definitely give this a try! Thanks! Thank you for this posting. I paired these ribs with green beans and dried shrimp that you posted a while ago -- my wife was very pleased. Heb - sounds like a good idea!